Antipasti and primo - a delicious selection of pasta, rice and pizza recipes. Buon appetito! An old Italian proverb states “one does not live by bread alone.” We couldn’t agree more and it reassures us that the tasty olives, meats and pasta we love are a perfectly acceptable part of life. Similar to Spain, Italian culture is also so linked to food and family, with the kitchen being an important part of family life. Enjoying a meal with your nearest and dearest is almost a main ingredient in itself, with long lunches meaning endless courses and chat. As for antipasto (plural is antipasti), simply put, it means ‘before the meal’ and is the first course of an Italian dinner. We don’t get too hung up on what it’s called – this mix and match approach works perfectly for us. Sliced cured meats, olives, artichokes, anchovies and cheese are a wonderful way to begin any gastronomic treat. Our Italian recipes are a delicious selection of pasta, rice and pizza – known as primo or the ‘first course’ in an Italian meal which we’ll be adding to as we go. Buon appetito! 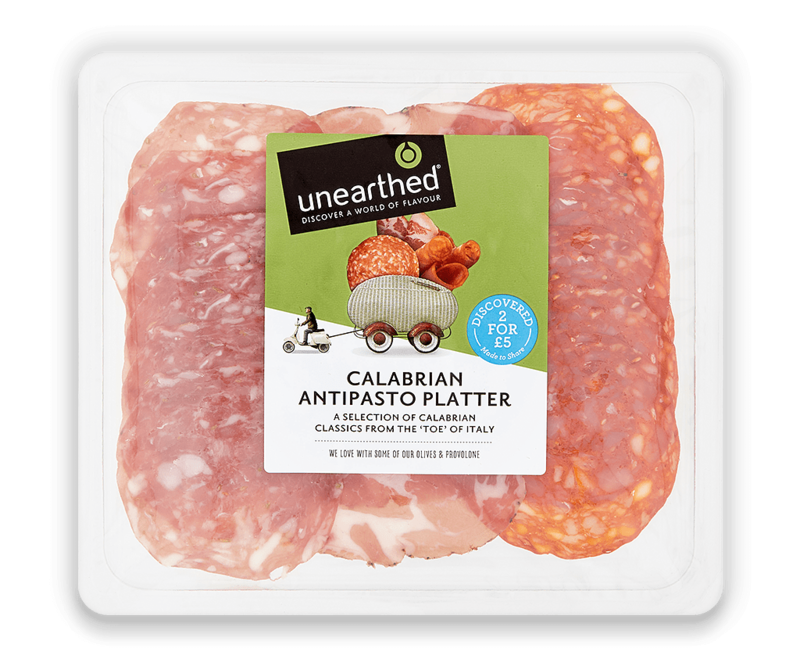 In 2014 we launched a Calabrian Antipasto Platter - to complement our other Italian meats. It’s become a favourite amongst those looking for a bit of variety and a slice or two with an extra kick (the Calabrian Pepperoncini)! We met Anna, whose family have owned their business in Calabria for two generations. Found in the toe of the boot of Italy, Calabria is a mountainous area which is a pretty harsh climate to survive in! Working on the land and farming is quite hard there so what we loved was how self-sufficient they have become – they grow their own pepperoncini, which is then added to the meat to give the Sopressata more than a little spicy kick.